Essex Smart Repairs are a well established smart repair company based in Chelmsford, Essex. What started as two men with two vans has grown into the region’s largest cosmetic vehicle repairer – now a team of over 50 people with vans that are instantly recognisable throughout the area. 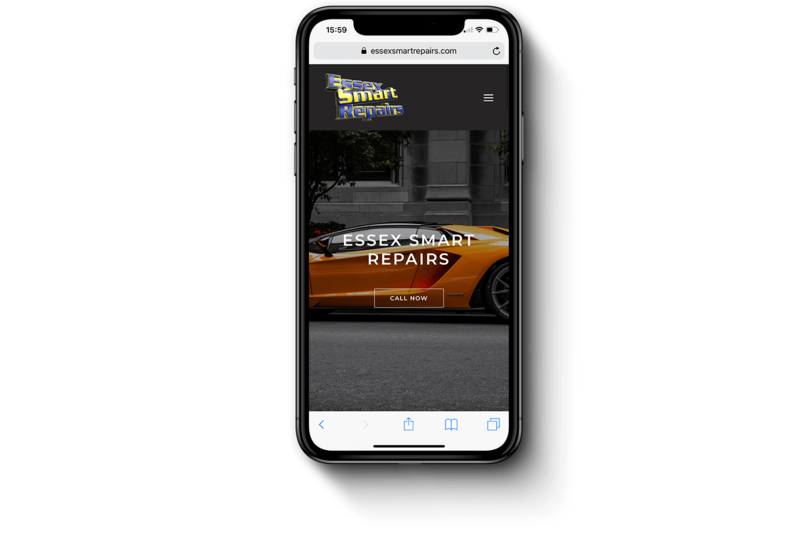 As a large and growing company, the team at Essex Smart Repairs were keen to ensure they remained visible online and keep their online presence up to date and ahead of the competition. We therefore decided a new fresh designed responsive website was needed to make it as easy as possible for potential customers to engage with them online. We achieved this using minimalistic design throughout the new website, focusing on the user journey as well as creating a bespoke enquiry form to make quoting for car damage as easy and efficient as possible.